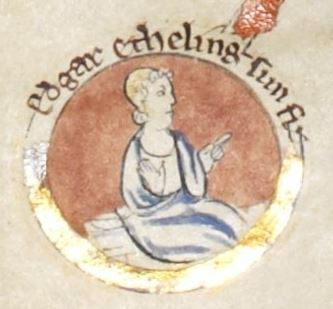 Edgar II was the last male member of the royal house of Cerdic of Wessex. He was elected King of England by the Witenagemot in 1066, following Harold II's defeat at Hastings, but was never crowned. When William I approached London, the noblemen who elected him quickly abandoned his cause and submitted to the invader. As the Normans closed in on London, Edgar's key supporters in the city began negotiating with William. In early December the remaining members of the Witan in London met and resolved to take the young uncrowned king out to meet William to submit to him at Berkhamsted, quietly setting aside Edgar's election. He later fled to Scotland, where he spent some time at court, launched a failed invasion of Norman Apulia, helped put his nephew on the Scottish throne, and finally acted as a naval commander during the 1st Crusade. He died c. 1125 in Scotland.